The Supreme Court waved forward the execution of Marvin Wilson despite a 2002 ban on executing people with intellectual disabilities. If 54-year-old Marvin Wilson is put to death on Tuesday, it will not be because Texas denies that he is intellectually disabled, or as the legal literature puts it, “mentally retarded.” This much, the state recognizes. It just does not believe that Wilson is disabled enough not to be executed in Texas—a flagrant violation of the 2002 Supreme Court ruling in Atkins v. Virginia, which held that “the mentally retarded should be categorically excluded from execution,” period. From there it gets murkey. The eyewitness testimony as to the primary assailant was inconsistent…. The eyewitnesses saw the assailants force Mr. Williams into a car, and one witness testified that, shortly thereafter, she heard what were either gunshots or noises from a nearby refinery. The forensic expert testified that attributes of the body strongly indicated that Mr. Williams was not killed immediately after the incident at Mike’s Grocery, but shortly before he was discovered at 7:00 a.m. the next morning…. In light of evidence discovered on June 18 of last month, there have been and will be proceedings seeking to establish that Mr. Williams was entrapped in the early hours of November 10, that Mr. Wilson was not the shooter, and that he did not otherwise have a significant role in the murder that he did not know was about to take place. The evidence that Mr. Wilson was the principal perpetrator came from testimony of Terry Lewis, the wife of Mr. Wilson’s accomplice. Ms. Lewis testified that, when she became concerned that her husband pulled the trigger, Mr. Wilson calmed her by assuring her that Mr. Lewis was not the primary assailant. Putting aside the (rather salient) question of whether Wilson actually committed the murder, there are compelling reasons for the US Supreme Court to intervene. As Kovarksy points out, the Court has been “showing a renewed interest in questions of personal culpability,” a trend most recently on display in its ruling in Miller v. Alabama, which limited life without parole for juvenile offenders. What’s more, he says, the Court is currently considering another case out of Texas, which grapples with the state’s similar attempts to circumvent its ruling in Atkins. 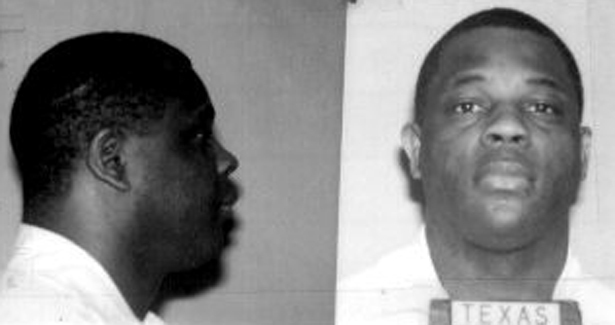 In that case, attorneys for death row prisoner Elroy Chester argue that while Atkins “permitted states to adopt their own procedures for determining whether someone suffers mental retardation, this deference to the states did not authorize Texas to adopt a standard that permits the execution of mentally retarded offenders.” Yet that’s precisely what has happened. While most death penalty states have passed legislation to define what qualifies as intellectual disability, based on similar clinical standards as the Atkins court, Texas has not. UPDATE: The Supreme Court declined to intervene. Marvin Wilson has been executed. We are gravely disappointed and profoundly saddened that the United States Supreme Court has refused to intervene to prevent tonight’s scheduled execution of Marvin Wilson, who has an I.Q. of 61, placing him below the first percentile of human intelligence. Ten years ago, this Court categorically barred states from executing people with mental retardation. Yet, tonight Texas will end the life of a man who was diagnosed with mental retardation by a court-appointed, board certified specialist. It is outrageous that the state of Texas continues to utilize unscientific guidelines, called the Briseño factors, to determine which citizens with intellectual disability are exempt from execution. The Briseño factors are not scientific tools, they are the decayed remainder of an uninformed stereotype that has been widely discredited by the nation’s leading groups on intellectual disability, including the American Association on Intellectual and Developmental Disabilities. That neither the courts nor state officials have stopped this execution is not only a shocking failure of a once-promising constitutional commitment, it is also a reminder that, as a society, we haven’t come quite that far in understanding how so many of those around us live with intellectual disabilities.